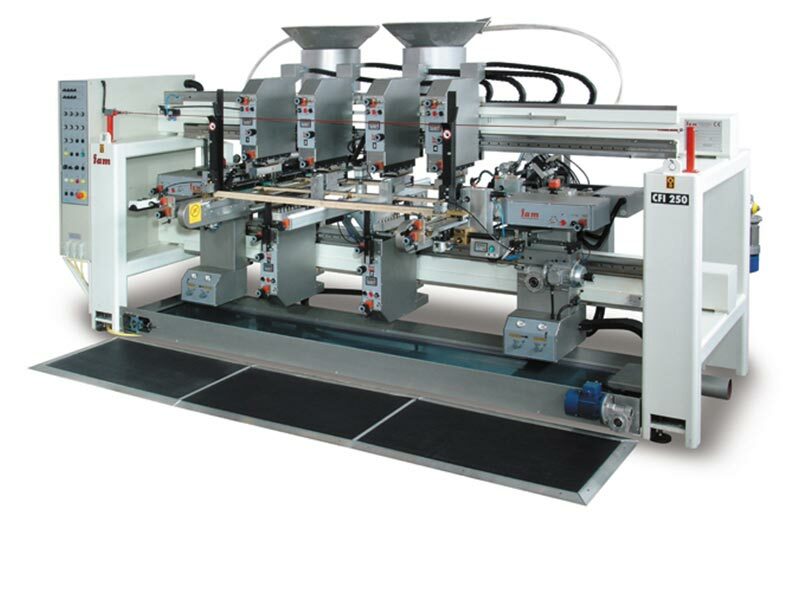 Boring and dowel inserting machine CFI 250. 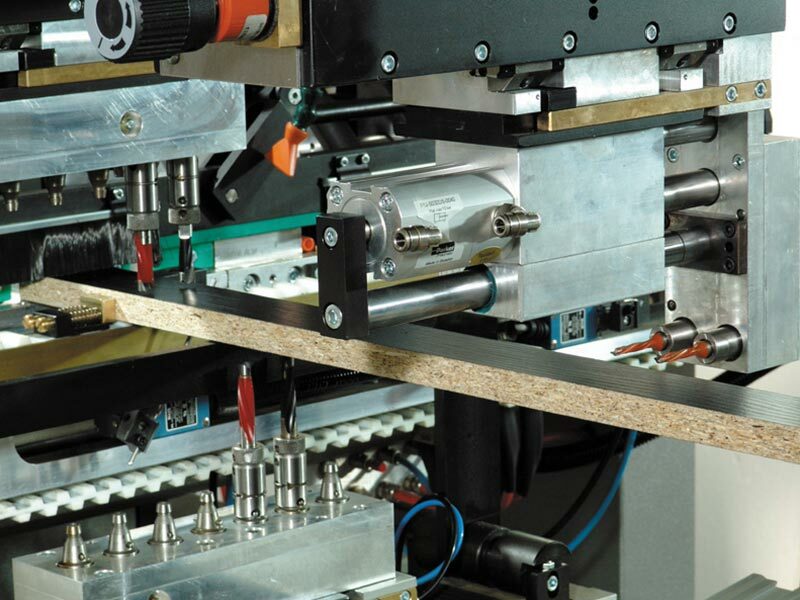 Created for machining small-dimensioned workpieces: sides, fronts, side elements for drawers, side frames, bed elements, doors and any kind of strips. The conveying system with blocks for panel trailing allows high production capacity up to 30 pcs /min. The panels are conveyed by a toothed belt on which trailing and approaching blocks are mounted; this system allows panel conveying with 40 m/min advance. This device allows automatic machine feeding. 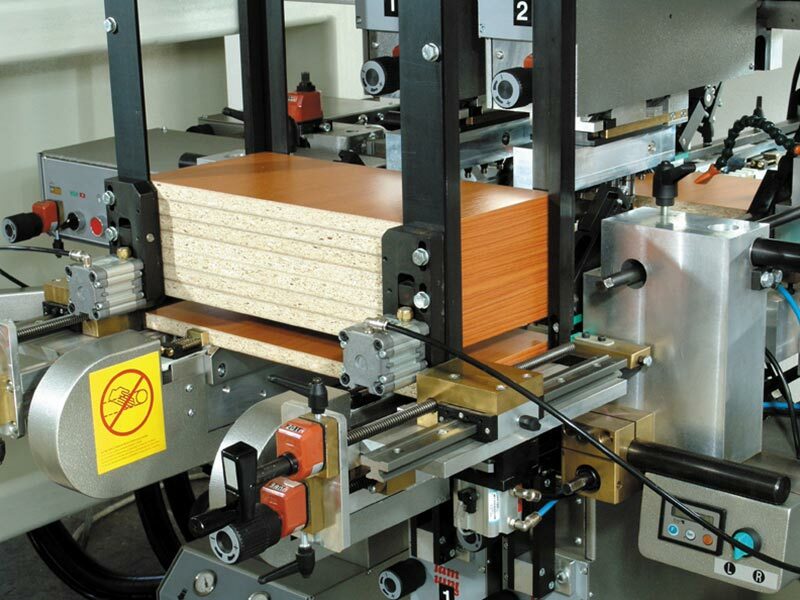 The stack is supported by pushers which sequentially release sequentially one panel a time onto the feeding table of the machine avoiding scratches or score to the panel under process and the stacked ones. I pannelli vengono accatastati all'uscita della macchina, con l'empilatore anteriore e quello posteriore la macchina può essere gestita da un solo operatore. Possibility to insert 6 dowels per side, with a min. dia of 6 mm up to a max.10 mm. 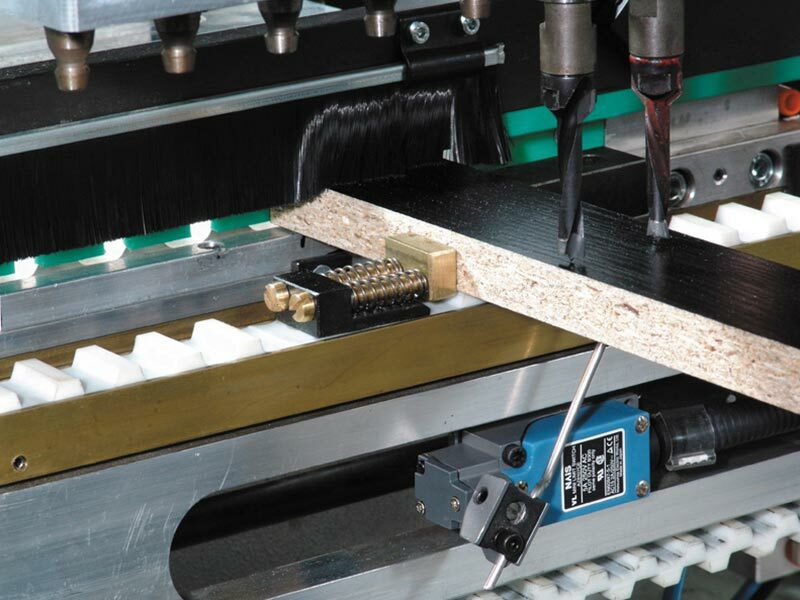 Glue inserting occurs by an injector controlled by a PLC connected to a potentiometer that allows to check and proportion the glue quantity.